The AGW is proud to have the support of many corporate sponsors and community partners. 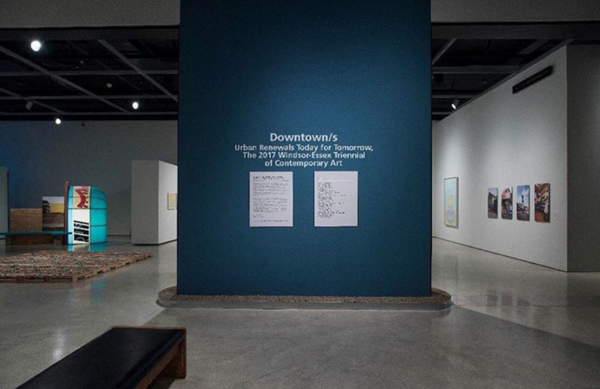 Thanks to support from our landlord (the City of Windsor), facility operations costs of our home are covered and the AGW is able to dedicate all its sponsorships to support the Gallery’s core staff and work in exhibitions, education initiatives, collecting, and public programming. With this positive message of “art first,” the AGW can offer you a wonderful opportunity to strengthen your company’s brand through local, national and international awareness. One of the region’s most beautiful riverfront attractions, offering superior client entertaining opportunities. Why support the visual arts? Artists play an important role in helping us all understand a complex and changing society. In this fast-paced world where many sources of information compete for our attention, artists call on the viewer to pause, to remember histories, and to widen perspectives and world views on many cultural, economic, political and social topics. For example, in the 1920s Group of Seven artists explored the diversity of Canada's topography to show its light and colour through a fresh modern lens. In the 1930s, Prudence Heward showed women's experiences in a male-dominated world through her powerful portraits of female subjects. During the 1960s and 70s, Cape Dorset artist Kenojuak Ashevak revealed elements of daily Arctic life through compelling stone-cut prints of birds and animals. During this same period, Norval Morrisseau’s paintings made visual important oral legends and stories of the Ojibway people. Recently, Bonnie Devine reminded viewers of divisive colonial history in her memorial work Treaty Robe, for Tecumseh, a chief who worked to bring peace to Windsor-Essex in 1812. Join us in the ongoing endeavour to keep these and many other important discussions alive and well. Support your AGW!